Two powerful faces in the then ruling Kanu and Moi regime are battling with ill health and have lately ben in and out of hospital on several occasions. Nicholas Biwott and Joseph kamotho are now recuperating: Kamotho from diabetes and Biwott from cancer. 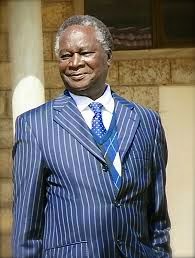 Biwott, the most feared and also most respected in some quarters then, is back into the country after treatement in India. It is said Biwott was discharged from the hospital and remained quiet as he battled with the ailment as a healthy Moi was celebrating his 90th anniversary. 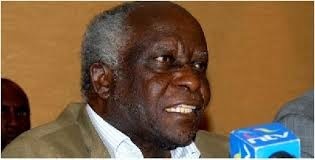 At one time, there were rumours that Biwott had passed on and he had to come out and make a public appearance threatening to take legal action against people spreading the lies that he was past tense. An angry Biwott, termed the reports as the work of “sadists and evil people”, saying it is only God who has the right to determine the death of a human being. Former long serving Kanu secretary general and Mathioya MP Joseph Kamotho, now battling diabetes, finally broke his long silence over tribulations he faced at Kasarani in 2002 together with then vice president George Saitoti, who died in a plane crash in June 2010. Kamotho has accused “an axis of evil” domiciled in Nyeri for his political tribulations singling out former Nyeri Town MP PG Mureithi for pushing him and Saitoti out of Kanu leadership to allow a merger of Raila Odinga’s LDP a matter that saw the son of Jaramogi become secretary general of Kanu and energy minister, an achievement that charmed Luo Nyanza which erupted in endless celebrations. According to sources close to former Kanu hawk, he blames Mureithi for leading a quartet of his political foes who advanced the argument that Kamotho should have emulated what Raila’s father did before independence when he rejected calls by the colonial government to form an administration with Tom Mboya and James Gichuru before the release of founding father of the nation Mzee Jomo Kenyatta. Odinga then heading Kanu, insisted on release of then jailed Kenyatta the father of Uhuru, now battling ICC charges of financing the 2007-2008 post- election violence that engulfed the country leaving over 1300 dead and 650,000 people displaced. During the trial of Kenyatta in 1955, the British labelled Kenyatta “as a leader unto darkness” before handing him a seven-year sentence behind bars in Kapenguria where he escaped food poisoning three times with Paul Ngei alerting him. A bitter Kamotho now brands Mureithi as a “perennial traitor” of the house of Mumbi who stabbed his own in the back so as to win single source insurance business at then KPLC now Kenya Power, whose longserving managing director Samuel Gichuru is said to have plundered the parastatal salting away a fortune in the Cayman Islands with former then Finance minister Chris Okemo. Kamotho’s just like Biwott’s name was on 2013 ballot paper. He contested the Murang’a senatorial seat on TNA nomination ticket against Kembi Gitura but after claims of fraud, he defected to the Mwangi Kiunjuri’s GNU and was again defeated by Gitura. Gitura is now deputy speaker of Senate. Gitura garnered 346,988 votes to beat Kamotho who got 24,095 votes. After defecting to GNU, Kamotho said the nominations were not “free and fair” as they were marred by irregularities designed to give certain individuals the party tickets. “The nominations were fraudulent and full of irregularities. The party conducted a flawed nomination and we do not accept the results at all,” Kamotho said. He said they had been told that the various seats contested were for sale. “Some people could have paid for them because those who were elected were unpopular unlike us,” the one-time Kanu demagogue said. He said the party’s leadership had preferred candidates who sailed through the nominations owing to “well organised plans” to rig the elections. “We are convinced that the TNA party leadership, its officials and agents in Murang’a deliberately and knowingly organised and executed the nomination process for the respective positions starting from county assembly representative, MP, women representative, senator to the governor,” he said. Kamotho made a name for himself between 1990 and 2002 as Kanu’s longest-serving secretary general. Kamotho is remembered for his titanic battles with the late John Michuki as they engaged in political rivalry for the Kangema seat between 1974 and 1992 with late Michuki one time describing Kamotho as “terrible little man”. In Murang’a, Kamotho is remembered for marshalling Kanu politicians in conducting fundraisers for churches and secondary schools as platform to attack his rivals endearing himself to the Moi regime. He was minister for the Education, then Trade, Environment and Natural Resources. He was the fifth secretary general of Kanu. Just as Biwott, there were rumours that Kamotho was in a coma. This was two months after the humiliating defeat. However, his family through his daughter Nyokabi denied reports claiming that the politician was critically ill. However, Nyokabi confirmed that Kamotho was indeed in hospital but said he was responding well to treatment. Kamotho’s health hit the headlines during campaigns for the Murang’a senate after he collapsed while addressing a meeting at Ihura Stadium. It took a bottle of Fanta to bring him back to his feet.